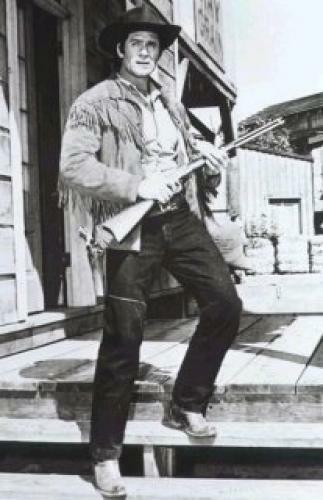 When will be Cheyenne (1955) next episode air date? Is Cheyenne (1955) renewed or cancelled? Where to countdown Cheyenne (1955) air dates? Is Cheyenne (1955) worth watching? Clint Walker starred in the title role of this classic Western produced by Warner Brothers. The storylines dealt with the adventures of Cheyenne Bodie, an adventurer who roamed the Old West in the days after the Civil War holding down many jobs and doing battle with many baddies. Interestingly enough, the show never aired on a weekly basis. When it premiered in 1955, Cheyenne aired on alternate weeks with two other Warner Brothers series-King's Row and Casablanca. Later, it would air on alternate weeks with two other Warners western series Bronco and Sugarfoot. This trio of shows would later be released into syndication under the title Best of the West. EpisoDate.com is your TV show guide to Countdown Cheyenne (1955) Episode Air Dates and to stay in touch with Cheyenne (1955) next episode Air Date and your others favorite TV Shows. Add the shows you like to a "Watchlist" and let the site take it from there.